Emerald Expositions, owners of the CEDIA Expo, has acquired selected assets of EH Media, including CE Pro and its sister brands, and the Total Tech Summit. CE Pro, Commercial Integrator and other EH Media "Connected" brands acquired by Emerald Expositions, new owner of CEDIA Expo. 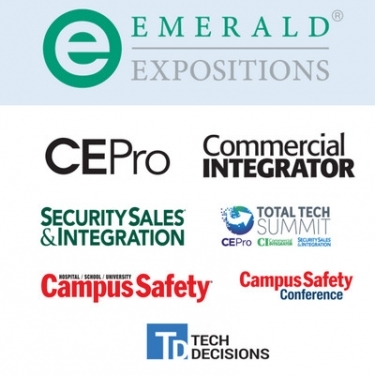 Emerald Expositions, a leading operator of business-to-business trade shows in the United States and owners of the CEDIA Expo, announces the acquisition of CE Pro and other key brands serving the technology industries, including Commercial Integrator (CI), Campus Safety, Security Sales and Integration (SSI), TechDecisions and Total Tech Summit. This blended package of show and media assets will integrate and strengthen the Emerald Expositions Design Group of trade shows including HD Expo (Hospitality Design), ICFF (formerly the International Contemporary Furniture Fair), the Healthcare Design Conference, GlobalShop and Expo and Design and Construction Week. Each of these events benefits from the audiences served by this portfolio of technology platforms. 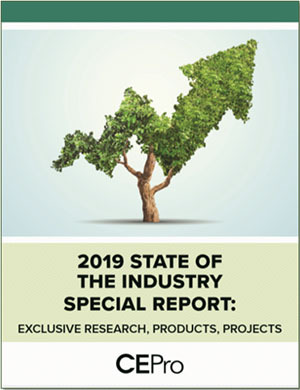 Emerald Expositions acquired the CEDIA Expo platform from CEDIA in January of 2017 establishing a presence in the smart/connected residential and light commercial markets. All of these brands, including CEDIA Expo, allows the Emerald design brands to develop programming, education and connections that make for beautifully designed, safe and increasingly smart/connected spaces. The newly acquired brands and CEDIA will have installations at Design and Construction Week, HD Expo and ICFF in 2019. 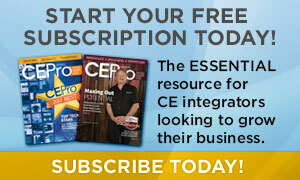 Launched in 1994, CE Pro was the first publication to address the home systems integrator channel and is widely recognized as the best publication in the category. The brand will continue to be based in Framingham, Mass. The Total Tech Summit is a hosted event with 400+ elite integrators, connecting them with more than 150 sponsoring suppliers. The Summit is all about helping top integrators grow and improve their businesses. This year’s event takes place November 7-9 in Pittsburgh. CEDIA has been very clever to sell its show to a company that will little by little introduce exhibitors from the construction industry, until one day, maybe in 5 years it will be 100% melted in a global construction industry show. Emerald is literally taking us by the hand and accompany us to where we belong: the construction industry. Because in the end, Smart Home and Home Automation will become just the norm, something expected by everyone as electricity and water. Home Automation, Smart Home has been the baby of the CEDIA channel people for 25 years now. We literally confiscated this job to electricians… And now, our baby is growing… We should be proud of this. In fact, what is happening to us now is the acknowledgement and consecration of 25 years of work from CEDIA channel people.